Here at Handyman Manchester we are fully qualified in all aspects of the trade, NVQ level 3 plasterers with a wealth of experience. We definitely believe as plastering goes we offer Greater Manchester with one of the best plastering services in the area. We are cost effective, clean, efficient and most importantly we do a great job. We are skilled in all aspects of plastering, whether you want a few walls re-skimmed or you want major alterations to the wall in your property, we can remove or widen doorways to erect decorative archways, or fit floating/suspended ceilings so you can have new spotlights fitted. We love plastering and as we also offer a decorating service if you want we can continue the work until your property is looking exactly like you want it to without the need for multiple traders. We have lived and work as Plasterers in Manchester for over 12 years and are fully aware of the property diversity and different challenges each type of property brings. Whether it’s a new build city centre apartment or a 100 year old stone cottage we have the knowledge to get any property looking its absolute best. 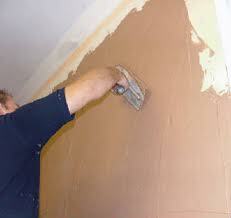 We believe a good Manchester Plasterer should have knowledge of all types of new an old products and techniques before he can call himself a good plasterer in Manchester, that’s why we continue to keep up to date with new aspects of the plastering trade.